The body of a man found in a Rhode Island river may be a student mistakenly identified as one of the Boston bombers, authorities say. 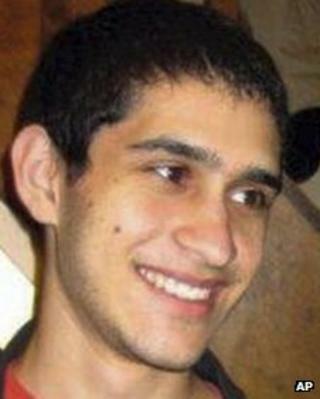 The state medical examiner's office is trying to determine whether the dead man is Sunil ­Tripathi, 22, who has been missing since March. Members of a university rowing team found the body on Tuesday evening. Mr Tripathi has been described as the other victim of the bombings after he was wrongly identified a suspect. Police Lieutenant Joseph Donnelly told the Boston Globe it was "very possible" that the body is Mr Tripathi. Brown University's rowing coach called police after spotting the body floating in the Providence River. Mr Tripathi, a former Brown University student, was last seen in his apartment in Providence on 16 March. On Monday social media website Reddit issued a public apology for its coverage of the Boston bombings after it wrongly named specific people as suspects. Those mistakenly identified as suspects included Mr Tripathi. Mr Tripathi's sister, Sangeeta, told the BBC of her family's anxiety at how fast "completely unsubstantiated claims were spreading". She described how media surrounded their family home after her brother was wrongly named.